Ride Québec City is a 4-part mini series showcasing the riding in and around the Québec City Area. This is episode IV, filmed at Sentiers du Moulin. 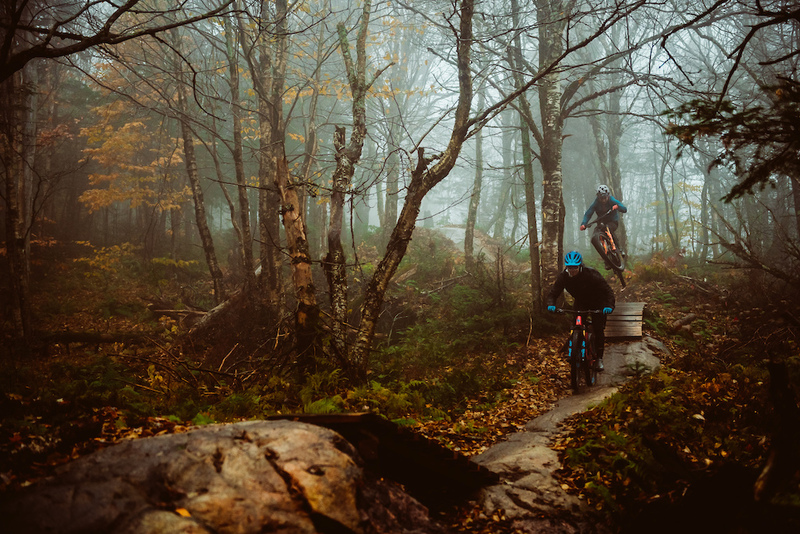 Mountain biking heaven? 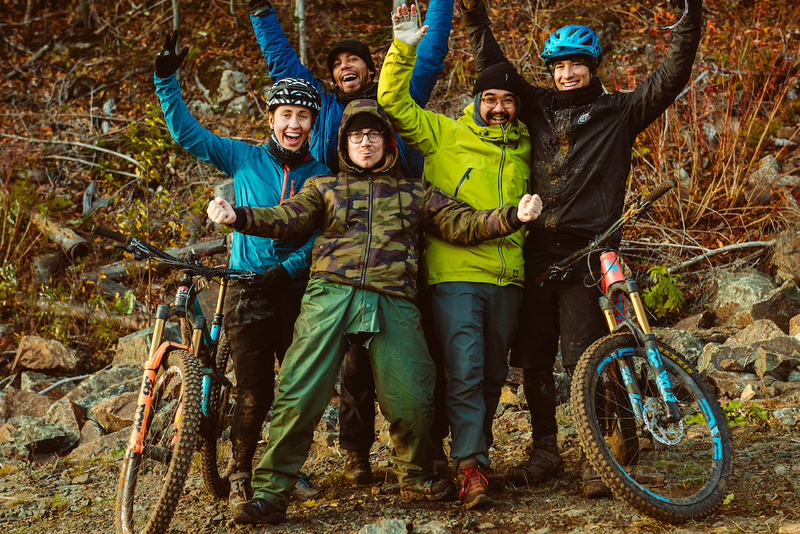 That’s quite a claim to come from someone who makes a living riding the best mountain bike trail in the world… He has seen a lot! I tend to agree with Brian, the riding at Sentiers du Moulin has something special to it. Not sure what it is though, but it surely has something to do with the strong support the trail centre is receiving from the city and the residents. 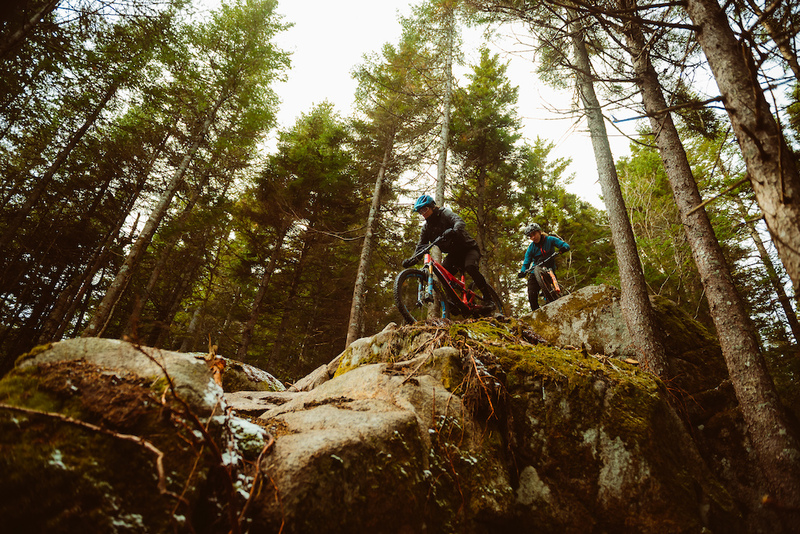 For this last shoot, we were joined by Andréane Lanthier Nadeau, also known as ALN, who was on vacation after a busy few months racing the EWS. 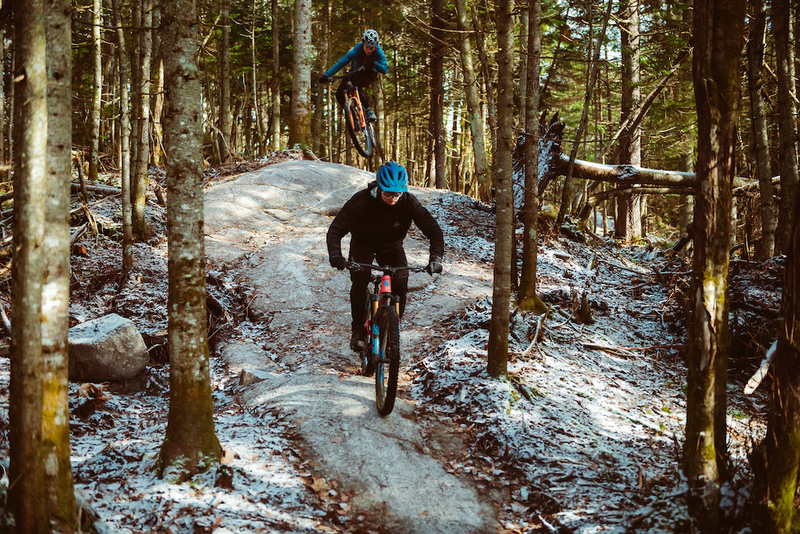 She spent lots of time riding at Sentiers du Moulin as a youth and she was happy to get to ride the newest trails with local trail builder Nic Sauvé. The weather conditions were less than ideal with rain, hail, freezing rain, snow, and nasty wind chill, but we proceeded regardless with our plan, starting at the “Summit 1” to ride KingKong, SuperG and Basse SuperG. Largely built by Jeff Dubé, KingKong has been open for a couple months and was an instant hit amongst the freeride crowd. With its right mix of sizeable drops, creative woodwork, intimidating rock faces, lack of “chicken lines” and a mini road gap, this triple black diamond (??) trail is a pleasure to ride. After shooting most of KingKong, we didn’t have much time left so Nic tried to chase Andréane down SuperG. Not easy! 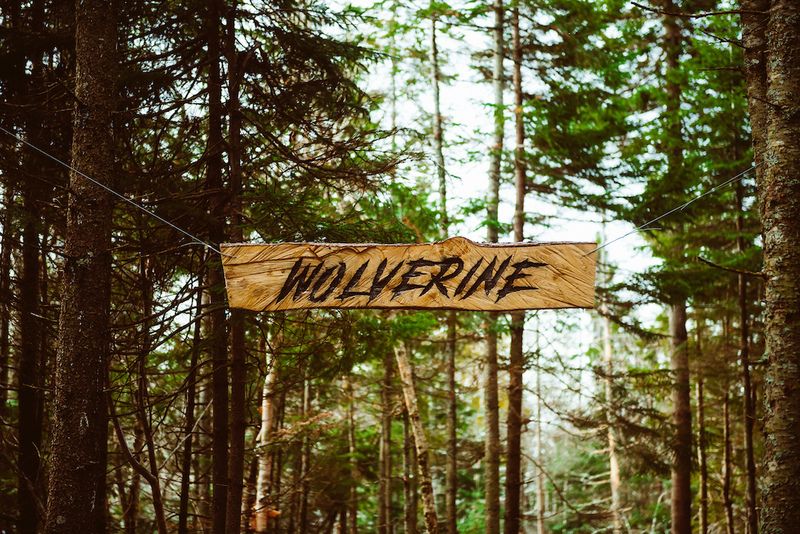 The next day was all about Wolverine, Nic latest creation. 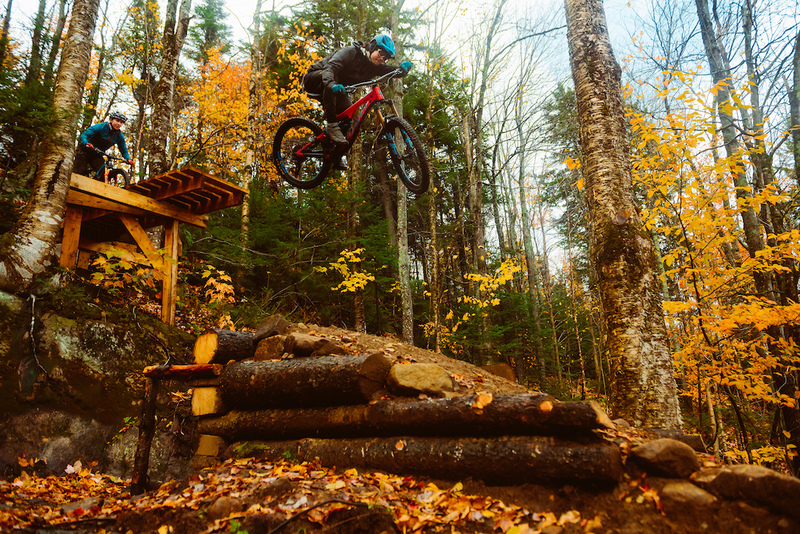 This new trail is the first to be officially built on Mont-Tourbillon. 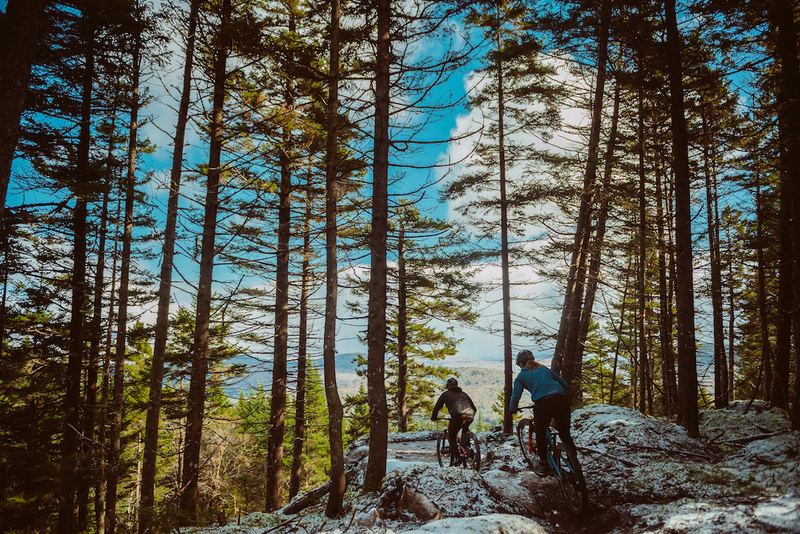 It’s the first step of an ambitious project aimed at integrating mountain biking into an outdoor recreation real-estate project called the Maelström. 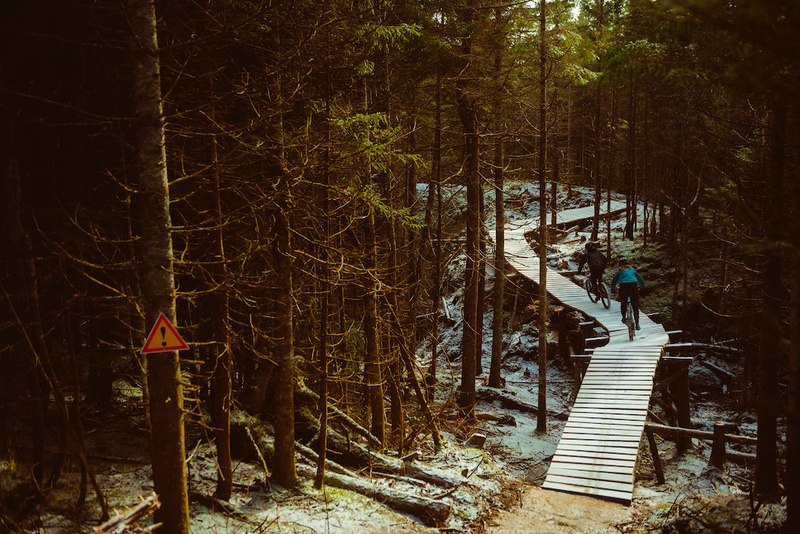 Thanks to LB-Cycle, the local trail building crew, this impressive trail was almost built in a single season! Only scoping and rough clearing were done last Fall. To shoot that day wasn’t easy. With the windchill, it felt like -15°C, cold enough to render Andréane's freehub and Nic's dropper post useless. We had to regroup in a chalet to warm the bikes and hope for the sun and wind to collaborate. And they did! An hour later, we were back on the trail. This new zone is strongly characterized by its granite. 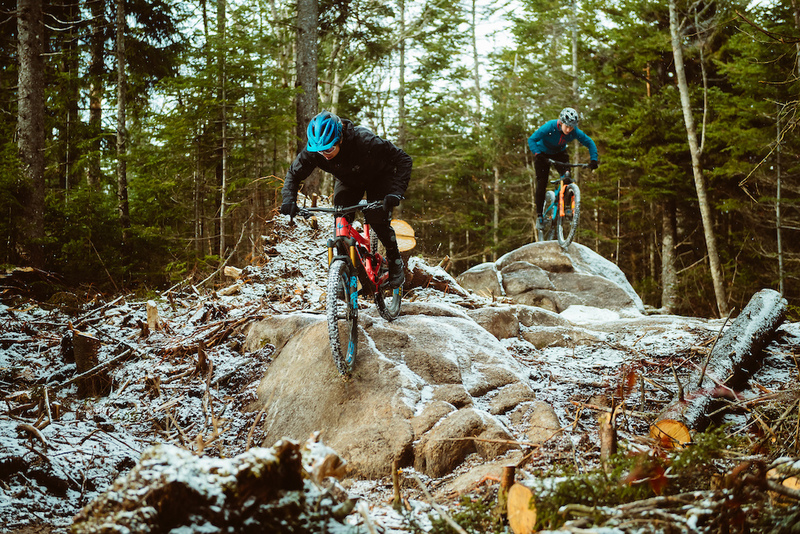 The whole mountain feels like a big rock pile covered with moss, hiding crazy lines and perfect slabs… It’s the perfect playground for creative trail builders. And that’s a wrap for #RideQuebecCity 2018. 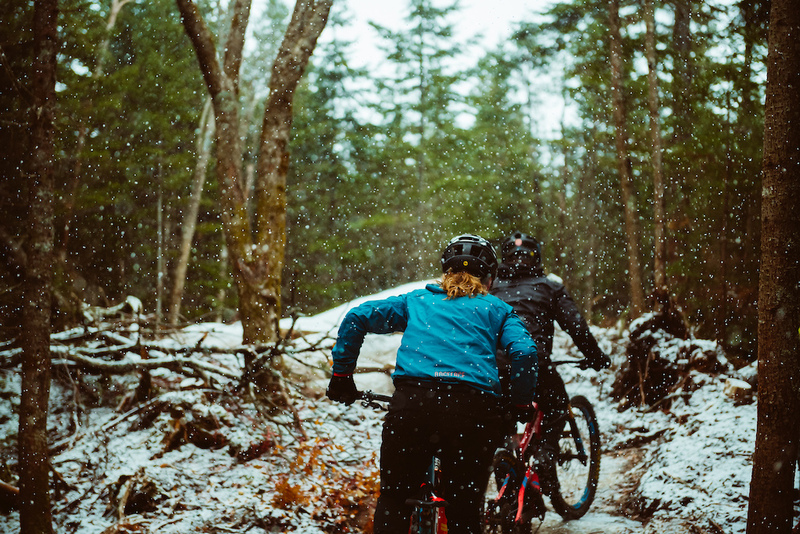 I hope you enjoyed discovering the trails that surround Quebec City as much as we enjoyed creating this content. 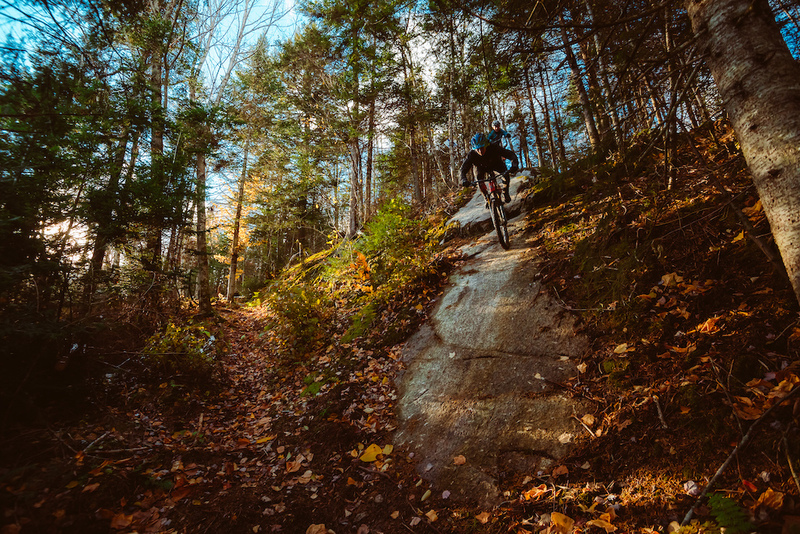 In Trois-Rivières you'll still be close to the bike park and there is also sentiers du moulin nearby. Enjoy! That's so cool!! Didn't know they were doing program like this... Hope you'll get to go to Quebec City though, as there's a lot more options to ride! Nonetheless, SDM is an incredible place to ride! Not all that weird...rubber hardens and doesn't grip as well at low temps, suspension fluids become more viscous, brakes do need some degree of heat in them to get the most friction down, and I've found that the bite point on just my rear brake moves out a lot, maybe there's a bit too much water in my brake fluid or a seal's wonky or something. When it's cold I find I have to speed up my rebound significantly (~3 clicks) to compensate for the oil in the suspension being thicker and slowing it down. Makes a big difference I find! Triple Black. Put the bottle down. Trails looked like techy and fun but not nearly insane enough to need an expansion of the 1-2 black diamond mark. For me, some of the steep slabs and tight run-outs down Wolverine are a lot gnarlier than any drop or feature on King Kong. I know however that trail raitings are biased in every case. Huge props to both riders! 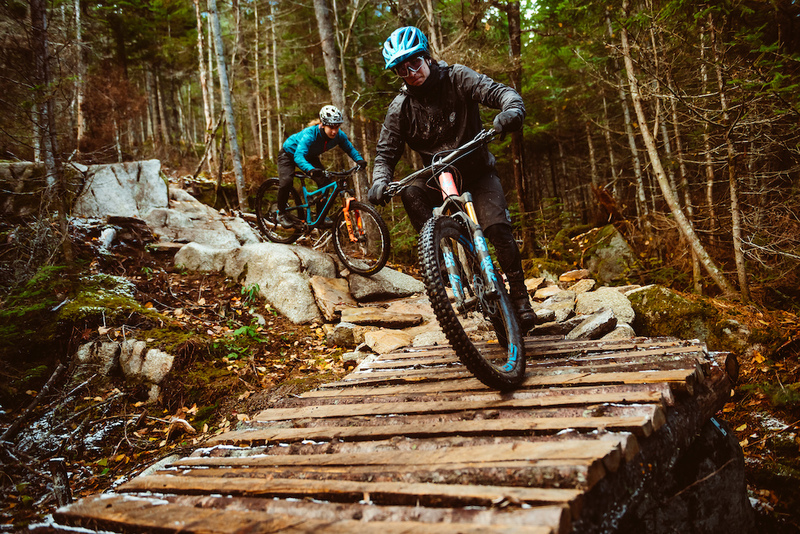 Some of those features are worthy of Squamish-level gnarlyness! OMG. Now I get why slack head angles are the in thing. When things are filmed they "flatten out" as I call it. The two dimensional view you see on your screen does not tell the story of how steep some of those sections of trail are. Chapeau! 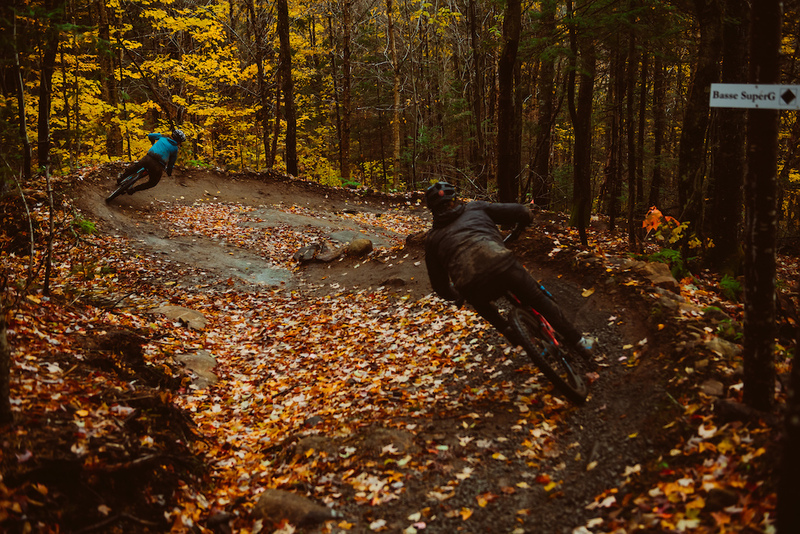 As someone who is unlucky enough to live in the lower Laurentians and their lack of good gravity trails (shout out to my buds at MSS who are trying to change things out here) I love that this spot is 4 hours away. In fact my secret trails are built with a bit of the same old school high speed tech SDM has to offer. 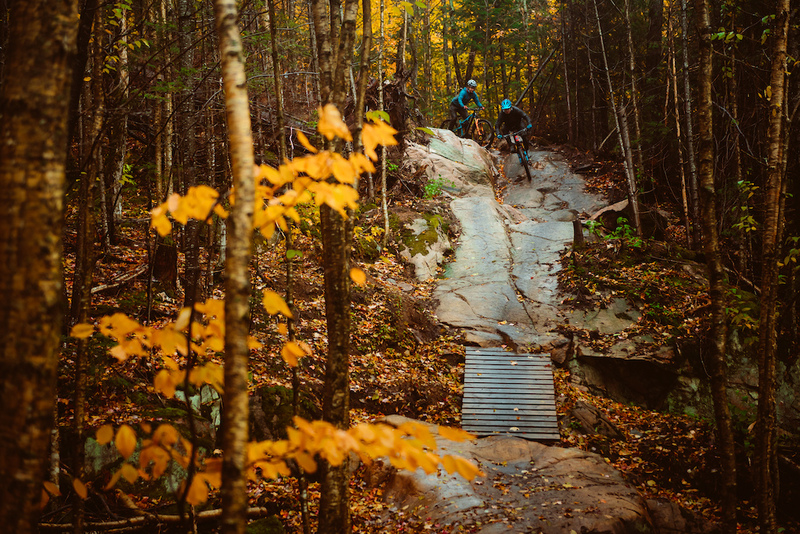 If you’re building trails in the Laurentians please take notes, Sentiers Du Moulin is how you should go about it. 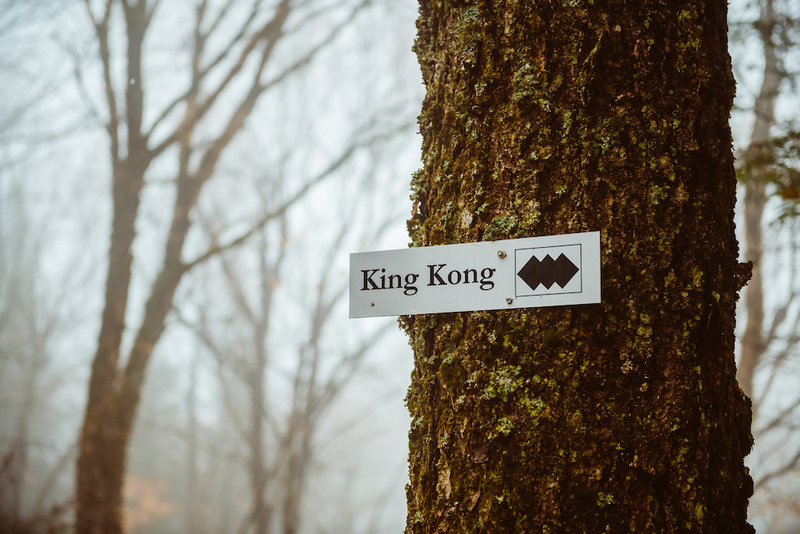 So the story about the Triple black trail (king kong) is pretty straight forward. they did a green and a blue trail first. then they made a more difficult trail, and made it black. Then came a double black which was even harder. but then King-kong was harder and gnarlier than the double-black trail, so guess what? THEY MADE IT A TRIPLE BLACK!! 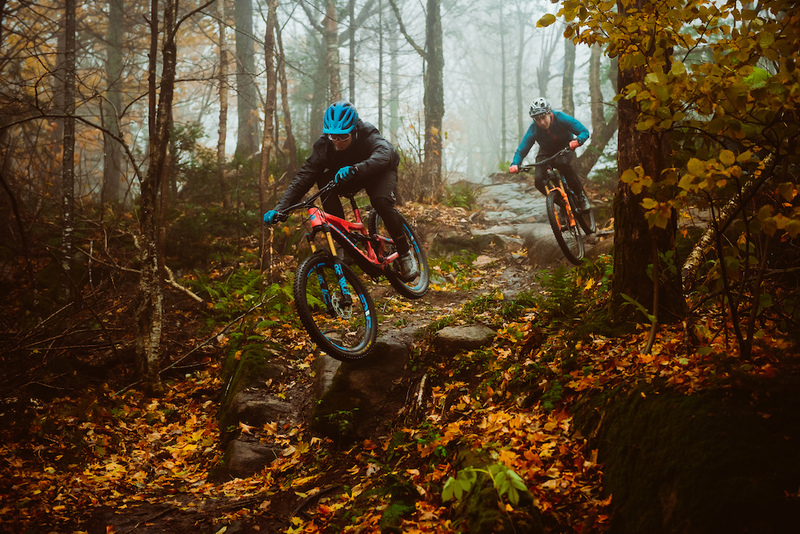 which is basically a ''Red'' trail for IMBA standards. I suppose they will update their marking eventually to match what the rest of the world is doing. We don't have those special signs meaning there's big features on the trail (like in Whistler and I suppose, everywhere else on the planet?!) 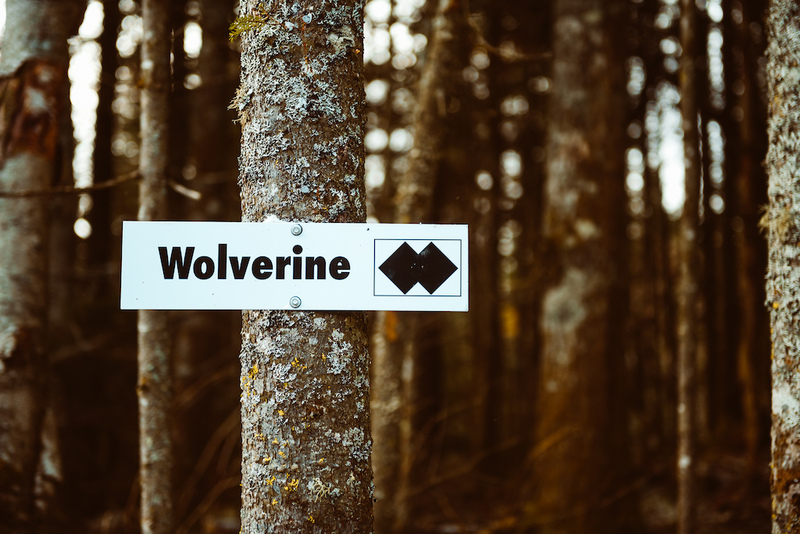 so adding a diamond is a way to tell people this trail might be a little bit harder than a technical double black trail without jumps and drops. SDM for the win ! Best place to ride big (sometimes huge) stuff ! 3ple black diamonds are for real. Good job with the video ! Quebec looks incredible! Little known fact that the Velosolutions Canada crew are also the Mont. Sainte Anne builders. A decent list of unique riding areas, cant wait to shred out there! Actually, VeloSolution Canada is mostly Trep and some guys from Gestev and works there a few weeks per year. They are not anywhere close to be the only builders that worked in MSA. 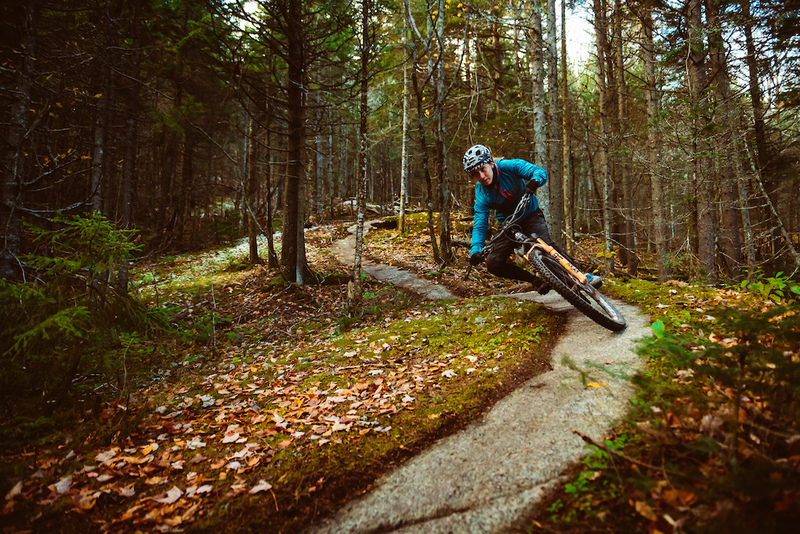 Mathieu Roy, now designer/operator for Sentiers Boréals, spent 9 years as lead builder for MSA and is responsible for many volunteer-built trails in the Land. Countless other also contributed, including Pat Dorion. 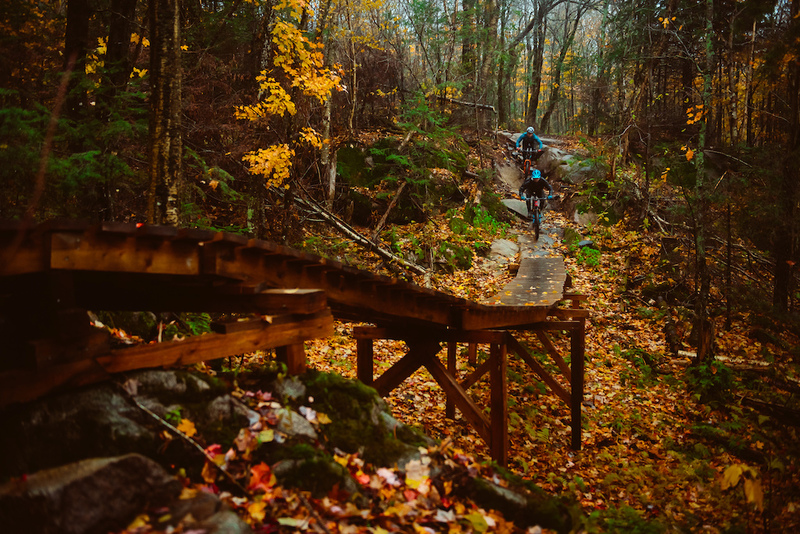 Riding Quebec trails is definitely on my bucket list. 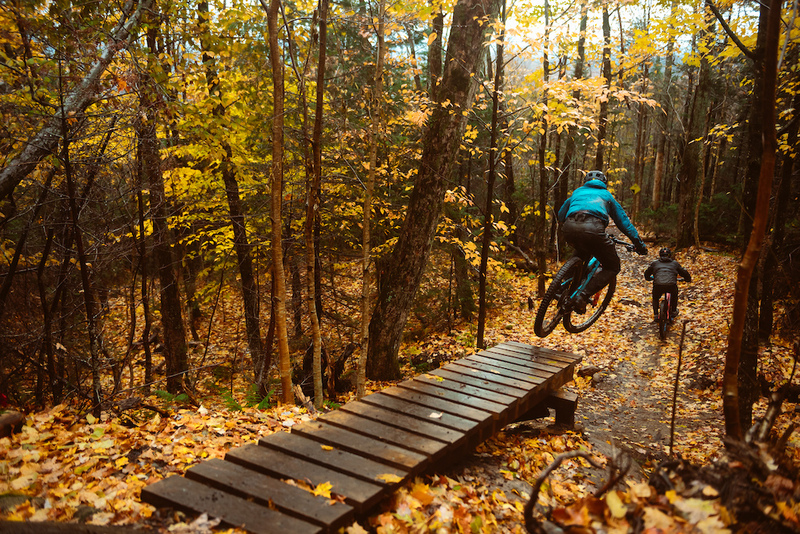 Did some fall hiking in Tremblant this year and QC looks like an amazing place to ride as well. @jimbsport: Et pour requinquer tout ce monde tu proposes quoi à becqueter cousin? @Franzzz: fumé au tremble? Nop. Si tu veux fumer de l'orignal, vas-y plutôt avec du bois de pommier, érable ou noyer. Le tremble va donner un goût de créosote pas super. Et pour accompagner ton émincé d'orignal, une confiture d'oignon à la bière noire et topinambour poêlés à l'érable. @sentiersboreals: et bien voilà: un acolyte gastronome. Je prends note car ça me bien baver tout ça, pis ça change du pâté chinois et de la poutine. PS: j`ai dû faire un Wiki pour ``créosote``, et effectivement: ça donne pas envie de goûter un truc de même. Québec power ! Yeah, boyz ! Bravo à toute la gang ! Bonne chance, Andréane, pour ta prochaine saison en EWS ! Actually, we avoid that by using rough-cut plank instead. Wire mesh have the bad tendancy to break apart over time, leaving a bunch of spikes in the air. It's also a very, very effective cheese grate if you slide on it. If we really need to add grip, we tend to use roofing singles. It is planned to install shingles this spring on some bridges. @sentiersboreals: people crash very hard all the time on slippy wood. At least where I ride. Does anyone else have heard time understanding Canadian French? Harder than understanding Ratboy's English for me. @jlb1: not your English. Your French. Also, if you don`t speak french properly from the start, it`s totally normal that you cannot get what they say, don`t you think so? I'm sorry to tell you that vimeo isn't the problem here. @colincolin: Yes it is: Vimeo videos always works like sh*t I noticed, even at friends places with better computers and connection than mine. I love to hate Vimeo for that. Yeah my connection is roughly 35mb/sec. @IllestT: 35Mbps gives you 3.5Mb/sec, which is the strict minimum to stream 1080. In fact, Netflix recommend 25Mbps but that will create buffering issues all the times. If you stream 720, it takes a little bit less but I have 100Mpbs at home and with the kids, we often use +80% of the bandwith available. Other thing to consider is lag. Have you done a Speedtest.net? @sentiersboreals: in a household of 5, all with internet devices, all can watch Netflix, iPlayer, YouTube etc - at the same time, without issue. Whoa, that is not at all what I thought Quebec riding looked like - also ALN is such a crusher! Wicked cool video and photos! Sweet pics, sweet vid, sweet report! Sweet SPOT!